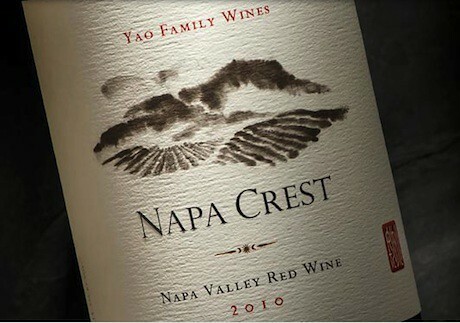 This week Yao’s wine business announced a new wine called “Napa Crest” that will be cheaper than his first wine (that sold out). 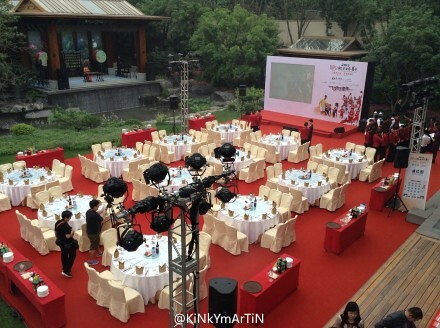 The wine launched this week in China, and will be available in the U.S. in January. 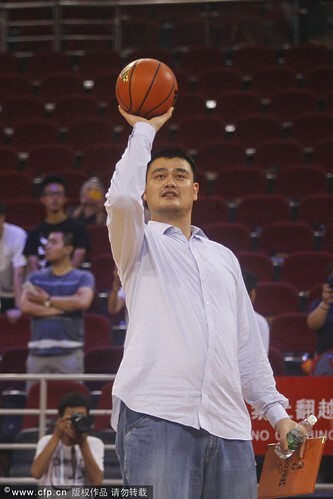 The Wall Street Journal wrote a very informational article about the new wine and Yao’s wine business, as well as the state of wine sales and consumption in China. 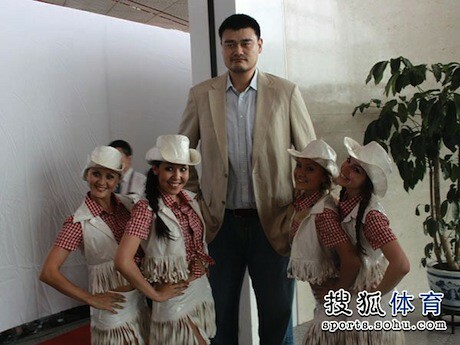 More details about Yao’s new wine can be found at the Yao Family Wines web site here. 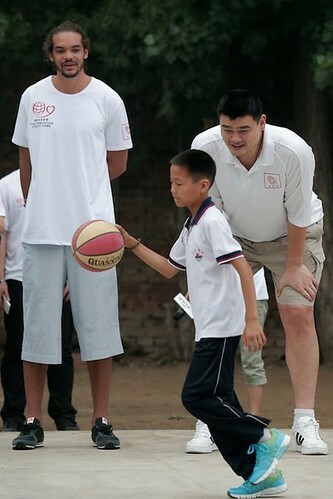 In case you didn’t know, Jeremy Lin has been on a whirlwind tour of Taiwan and China the past couple of weeks. 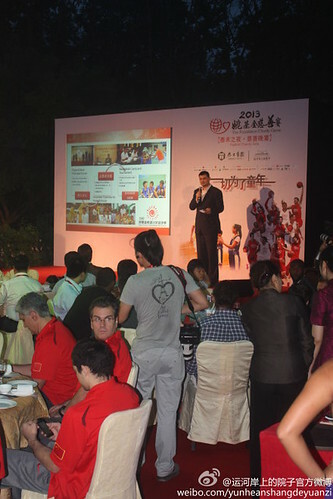 Raymond has done an AWESOME job posting lots of stories, photos and video links of Jeremy’s trip in the forum. I was hoping I could post a summary of all of Jeremy’s activities, but the amount of content is so amazing, it would take me days to recap it all. Instead, I just urge you to click here and scroll through all the photos and stories yourself to get a glimpse of what Jeremy has been doing (make sure to click on the additional page links at the bottom of each page — currently 7 pages and counting). 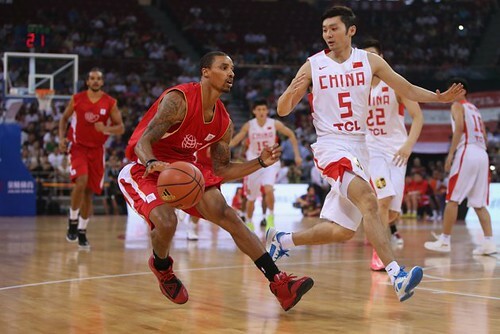 But I had to post at least one photo of Jeremy here. 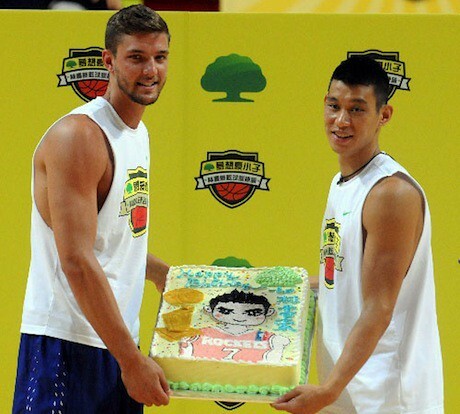 The one below is Jeremy with Rocket teammate Chandler Parsons holding Jeremy’s 25th birthday cake at a basketball camp they were conducting last week. Pretty cool design on the cake, huh? 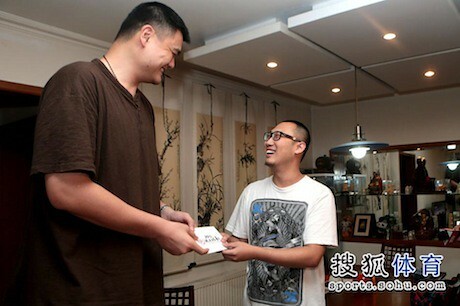 If you think Yao’s photo with J.J. Watt a few months ago made J.J. look small, take a look at this one of Yao with boxers Manny Pacquiao (who stands 5′ 7″) and Brandon Rios. 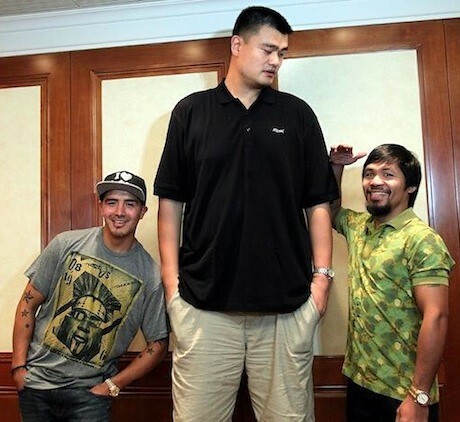 Pacquiao and Rios were in China last week to promote their upcoming November pay-per-view fight in Macau. 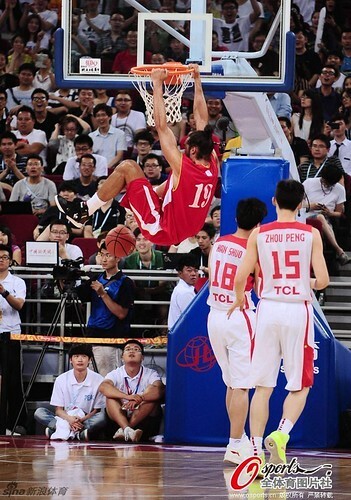 Last week Jeremy Lin participated in the Steve Nash Foundation Charity Game (soccer), played July 14th in Los Angeles. 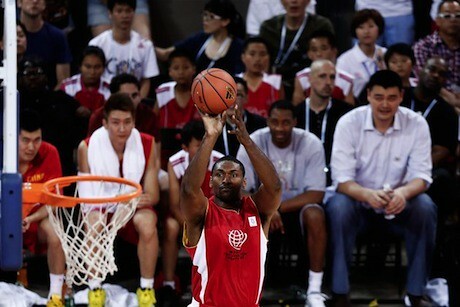 Jeremy was among a group of NBA players (like Jared Dudley, Klay Thompson), soccer stars (Robbie Rogers, Robbie Keane), and NBA writers (Marc Stein) invited to play soccer to raise money for Nash’s foundation. 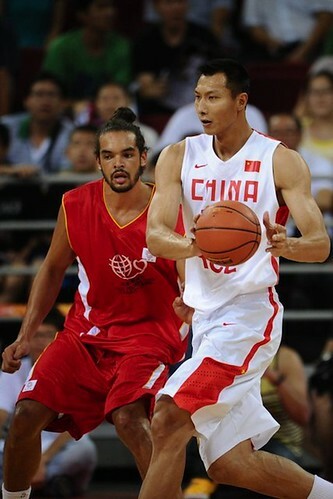 But according to Orange County Register reporter Kevin Ding, the Rockets didn’t approve of Lin playing in the soccer match because of the risk involved, so he played for only a few minutes (for both teams). 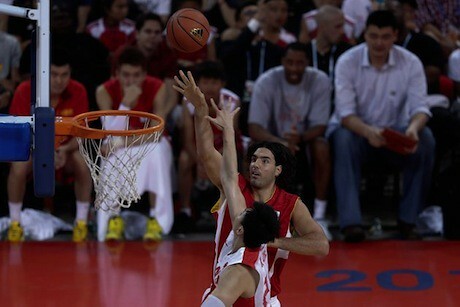 However, Lin showed that he had some soccer skills by getting an assist to Klay Thompson for an opening goal. Nash’s team ended up beating Rogers’ team 5-4 with Nash scoring the winning goal. 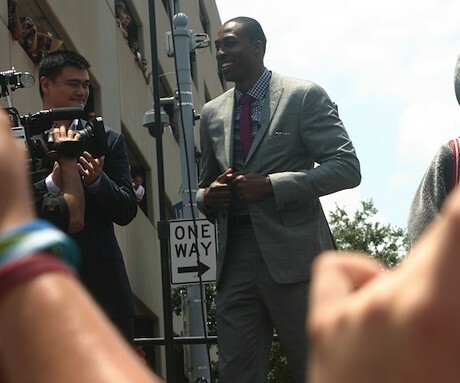 Click here for more pics from the event. 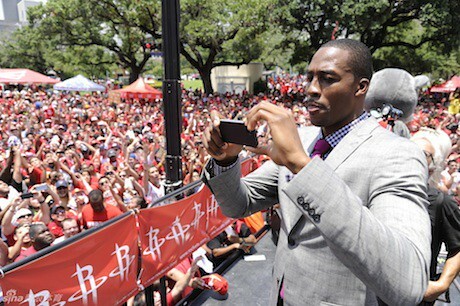 You have probably seen some of the coverage from Saturday’s press conference and fan rally of Dwight Howard becoming a Houston Rocket, but it’s still worthy of covering here on YaoMania. 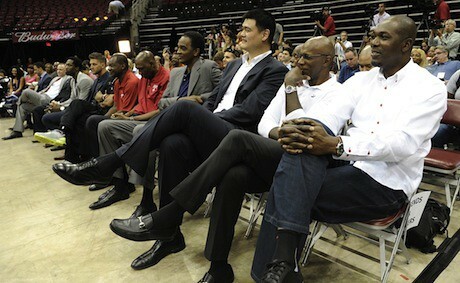 Yao was there to welcome him into the “Legacy of Bigs” in Houston. 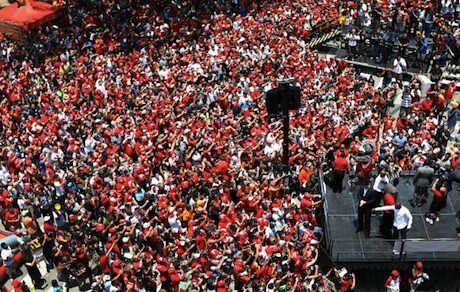 Below are some pics, along with links to more photos and slideshows. 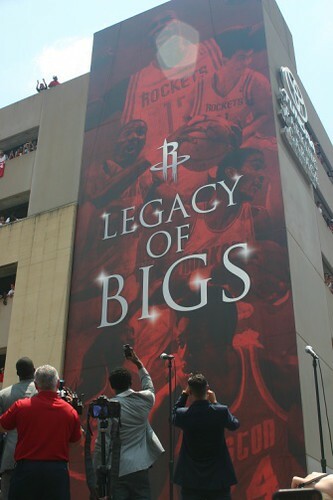 If you want to see more slideshows from Saturday’s events, click here, here and here (courtesy Rockets.com, Sports790.com and the Houston Chronicle). 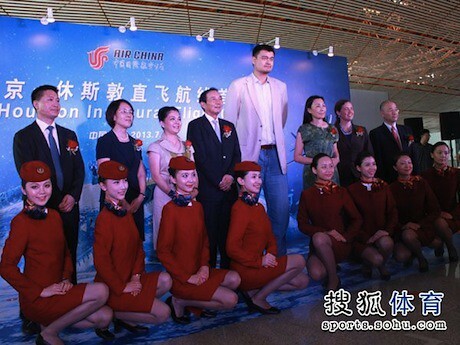 Yao has planned for awhile to fly from Beijing to Houston on Air China’s inaugural non-stop flight between the two cities, only the 4th U.S. city that Air China now flies non-stop from Beijing, behind New York, L.A. and San Francisco. 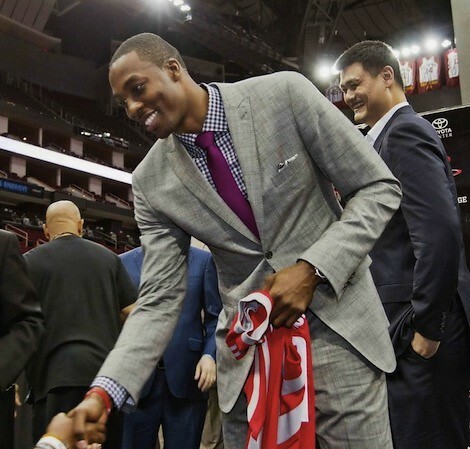 So it’s kind of a big deal. 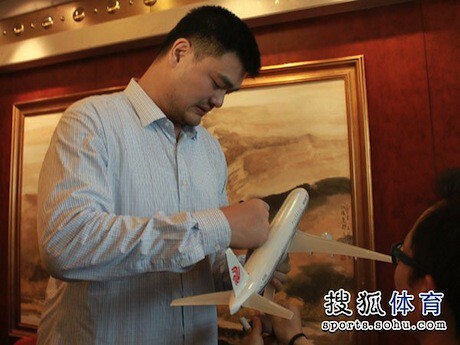 Since Yao is a goodwill ambassador for Houston, it made sense for Air China to invite him to fly on their first flight to Houston from Beijing. 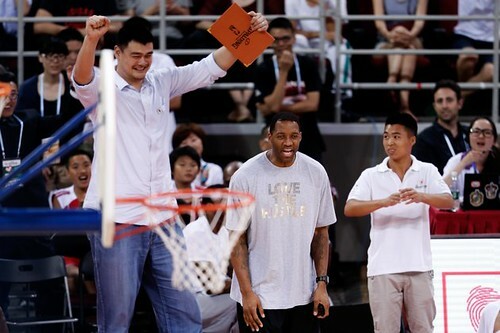 So this trip has obviously been planned for quite some time. 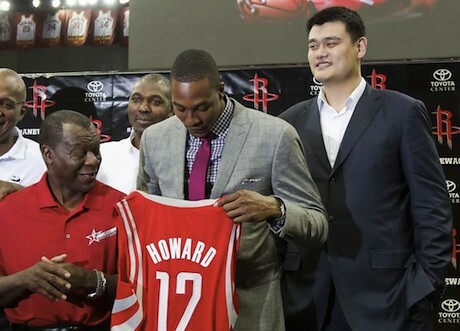 But it’s great timing since Yao will be able to attend Dwight Howard’s first press conference on Saturday welcoming him as a Houston Rocket. 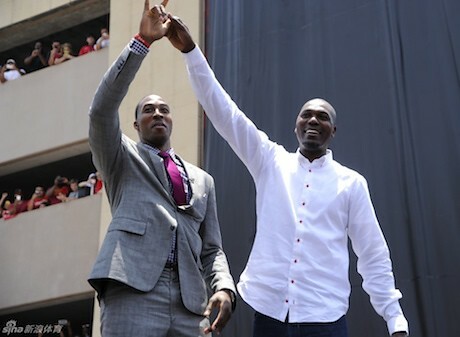 That should be a pretty cool press conference since we understand Hakeem Olajuwon will also be there. 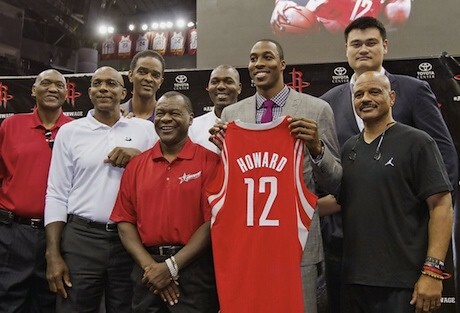 Nice touch by these Rocket legends to be there to welcome Dwight to Houston. 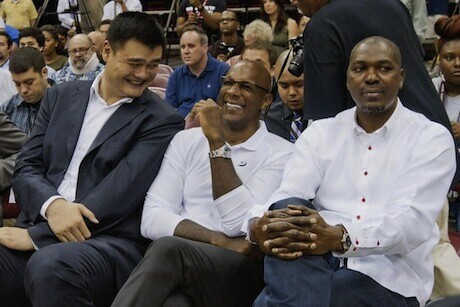 Below are some photos that Raymond posted in the forum of Yao at the ceremony at the Beijing airport before he departed on his flight to Houston. 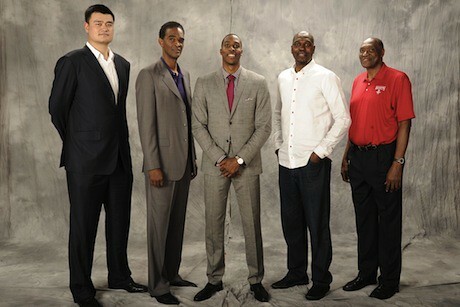 Click here for more photos from the Air China ceremony. 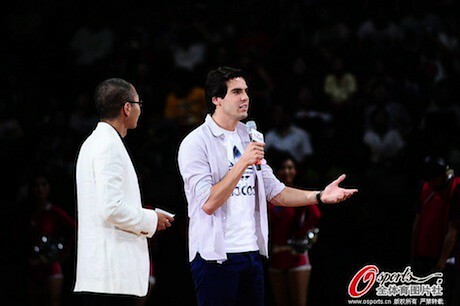 Late last week Yao attended the “Artistry on Ice” show in Shanghai, which featured some of the top figure skaters in the world. 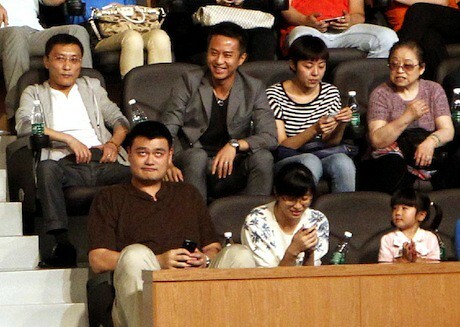 This was Yao’s third consecutive year to attend the show, and he came with his wife Ye Li, actor and friend Deng Chao, and his daughter Amy (pictured at the bottom right). 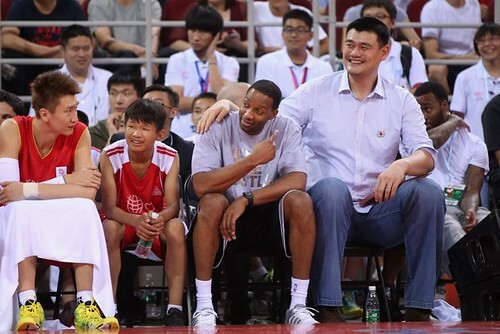 This was the first time that Amy had been seen in public with his parents since Yao’s retirement from the NBA two years ago. She is growing up fast! 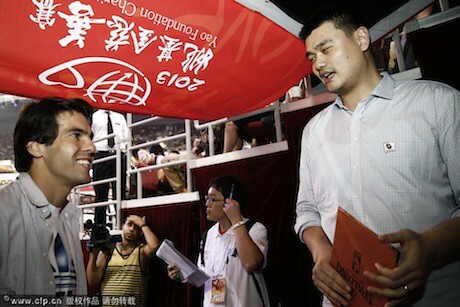 After the show, Yao went backstage to meet some of the skaters, like Canada’s Kurt Browning, who was the World Champion from 1989-1991 and 1993. 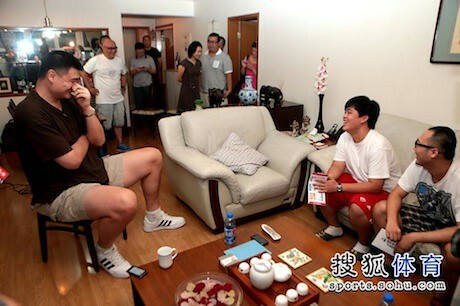 And checkout this photo of Yao with flamboyant American skater Johnny Weir. 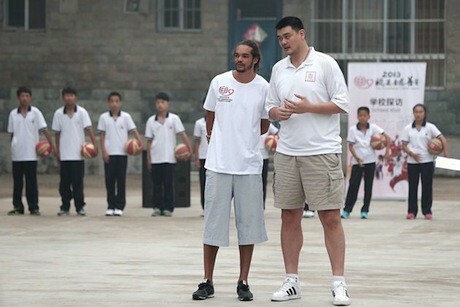 Click here for more photos of Yao with his family, Yao with some of the skaters, and scenes from the show.